A woman has said she became homeless after being injured while working at an Amazon warehouse in Texas last year. Vickie Shannon Allen has documented her eviction and experiences on YouTube, and told The Guardian she was injured due to faulty workstation last October. Allen's experience is similar to horror stories told by dozens of Amazon workers to Business Insider earlier this year, plus third-party reports of warehouse injuries. Amazon said it didn't recognise Allen's portrayal of working conditions, adding that it was proud of its safety record. Vickie Shannon Allen, a 49-year-old former Amazon warehouse employee in Texas, says she is now homeless after being injured at work last year. Allen has been documenting her eviction from a Texas caravan park on YouTube and her story was reported by The Guardian. She has also set up a GoFundMe page to try and raise funding after losing her home. Allen still works at the Amazon fulfilment centre in Haslet, Texas, where she was injured, and is currently living in her car in the parking lot of the warehouse. In an update to her GoFundMe page, Allen said she has found somewhere to live more permanently, but needs money to pay the first month's rent and deposit. She posted an update to YouTube on Tuesday, in which she called out Amazon CEO Jeff Bezos. "I can't believe this is my life now... I work for the world's richest man and I live in my car," she said. According to The Guardian, Allen was working at the Haslet warehouse on 24 October 2017 when she injured her back counting goods on a workstation. That station was missing a piece of safety equipment designed to stop items falling onto the floor. Allen injured herself while using a tote bin — a large plastic or metal container — as a temporary replacement for the safety equipment, and counting items while in an awkward position. "I tried to work again, but I couldn’t stretch my right arm out and I’m right-handed," Allen told the newspaper. "So I was having a hard time keeping up. This went on for about three weeks." According to Allen's account, Amazon did give her medical attention but management sent her home each day without pay while she was unable to work. She subsequently dealt with nine months of issues and, she said, Amazon's management offered her just one week of paid leave. "They offered me a buyout, only for $3,500, which meant I would have to sign a non-disclosure agreement to not say anything derogatory about Amazon or my experience," she said. Allen says she declined the offer so that she could talk about her experiences, and posted a YouTube video at the end of June titled "Becoming Homeless." In it, she shows footage of her belongings in a storage unit so that she can sleep in the back seat of her car. An Amazon spokeswoman told Business Insider in an email: "We don’t recognize these allegations as an accurate portrayal of working at Amazon. We are proud of our safety record and thousands of Amazonians work hard every day innovating ways to make it even better. "Amazon has created over 130,000 jobs in the last year alone and now employs over 560,000 people around the world. Ensuring the safety of these associates is our number one priority." Allen is one of the dozens of former Amazon workers who have spoken out about their experiences working at the company's warehouses. In April, Business Insider spoke to many workers who criticised the company's record on safety, and harsh practices like timing breaks. One worker said he believed co-workers were peeing in trash cans because they were so desperate for the toilet. Another talked about suffering an asthma attack during a shift and struggling with the physical nature of the work. The same month, US private non-profit group the National Council for Occupational Safety and Health found seven people had died on the job at Amazon warehouses since 2013. 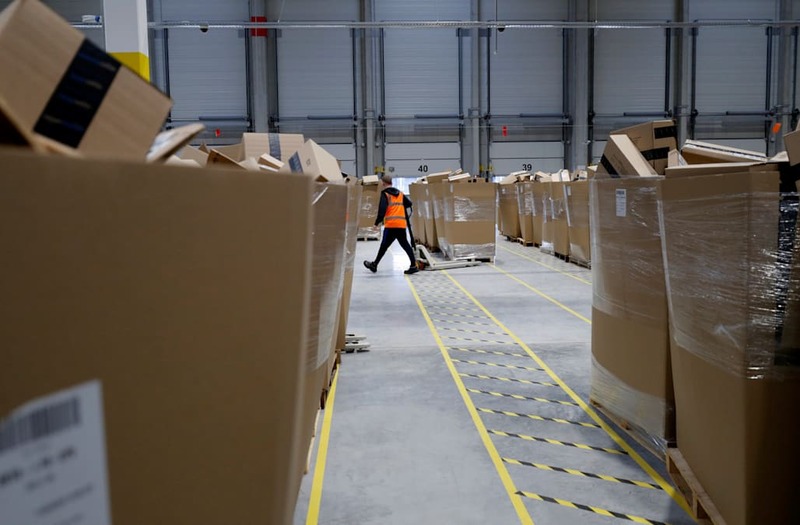 In June, the UK union GMB revealed that ambulances had been called 600 times to Amazon's warehouses between 2015 and 2018.